With the warm weather upon us, we are starting to plan some fun activities to get outside and enjoy the fresh air. 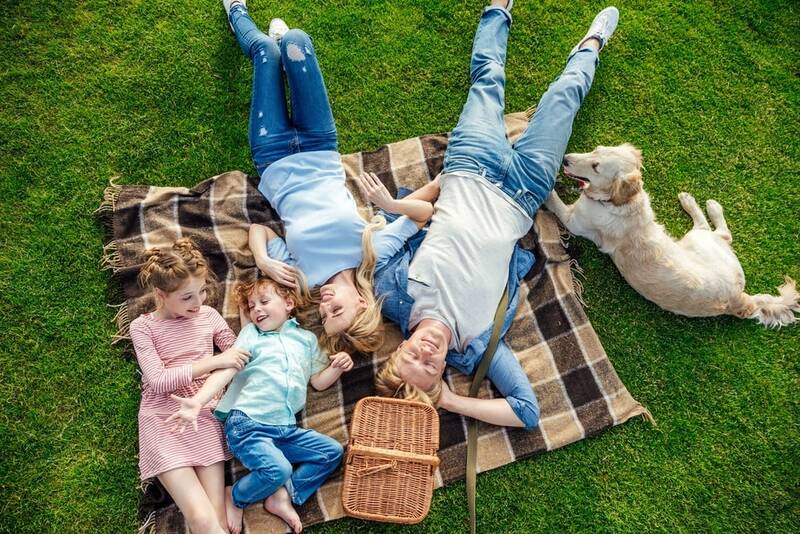 Picnics are a great way to enjoy a portable meal in the great outdoors, and this list of Ultimate Picnic Ideas will get you started on the right path! There doesn’t need to be a specific special occasion to turn a picnic into a chance to rejoice. Whether you’re enjoying a concert outside or spending a Sunday at a park with friends, how and what you pack sets the tone for the entire day. Consider every picnic that you plan to be a small, portable party. Make a guest list to know the number of people you need to be prepared for. It is also a good idea to find out if any of your guests have allergies or diet restrictions prior to planning the menu. Check with the picnic location in advance to ensure that they don’t have any specific restrictions or rules that you should be aware of. You will want this completed before you arrive ready to lounge on your picnic blanket. You won’t want to be doing any prep work at your picnic, so it is a good idea to ensure that you have trays, bowls and serving platters ready to pack all your prepared food into. Don’t forget to bring any utensils you may need, including serving spoons. Remember you will need a way to transport leftovers as well! Tis the season for many different seasonal and fresh items produce and meats, so ensure that you take that into consideration when packing your picnic. Stick to easy to transport foods like salads, cheeses, charcuterie, sandwiches, fresh fruit and veggies and dip. Freshly brewed iced tea, fruit-infused water or lemonade all make wonderful and delicious refreshments for a picnic. Bring insulated totes and coolers for your drinks and don’t forget the ice packs. Pack an assortment of blankets, towels or quilts to spread over the ground. You can even add some throw pillows for additional comfort. Just make sure that the items you pack are ok to be on the ground. If not, make sure you are prepared for some of them to need a good wash or stain removal. Pack your basket in reverse order to make it easier to get to the items you will need when you get to the picnic site. Place any non-perishable food items on the bottom, then tableware and serving items and finally a table cloth on top. Pack two containers. Have a cooler for cold beverages and foods and a picnic basket that you use for non-perishables and tableware. Bring two coolers if you are feeding a lot of people. Remember that frequent opening of a cooler can allow the cold air to escape. Use one cooler for frequently desired items like drinks and use the second one of meats and salads. Plastic Bags are a must for transporting any dirty utensils and dishes. It is also a good idea to be prepared to transport any trash in case there are no garbage bins at the picnic area you choose. Use Condiment Packets from restaurants that you may have to bring along on the picnic. These are great for easy outdoor meals. Cold food items must be kept at 40°F or colder. Transfer cold items from fridge to cooler. Don’t store items for the picnic in the cooler until you are ready to leave. Use Ice Packs for Food. If you want to avoid leakage into your food based items, using ice packs is the best way to go. Place them along the sides and bottoms of your cooler. Ice can be used for the cooler with the beverages in it. Bring along activities. Bring along a softball, volleyball or a board game to create some outdoor excitement during your picnic. If you will be having children attend, you can choose a picnic spot with a playground nearby. 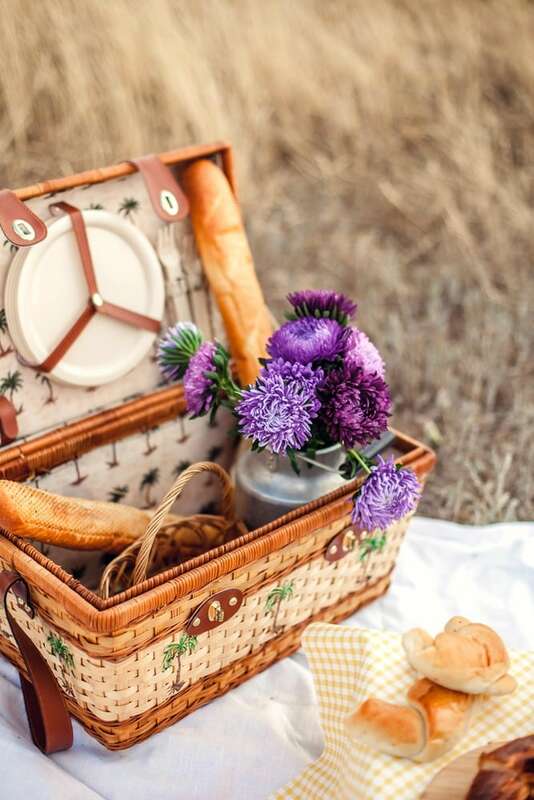 Picnics are a great way to spend a beautiful day. Make sure to get a guest list, plan your menu and have everything organized. Remember to have fun and use some of these great picnic ideas. Looking for more fun items in addition to these picnic ideas? Check out this great list of 25 No Bake desserts and consider bringing some along with you! You might also like these Mother’s Day Dessert Skewers, and How to Make Mother’s Day Memorable.